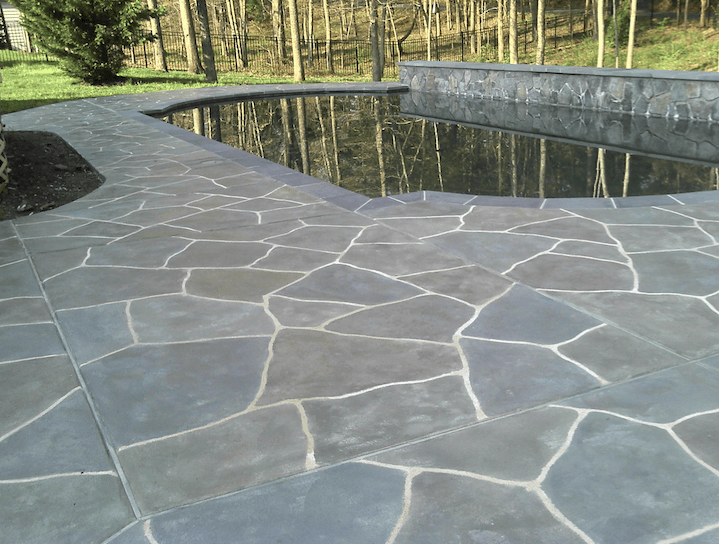 " Tips for Cleaning and Maintaining Decorative Concrete - Sundek"
What many people love about decorative concrete is that it is extremely durable and easy to maintain. Still, there is a right way and a wrong way to go about cleaning and maintaining your decorative concrete surfaces. If you need help, don’t be afraid to consult a licensed concrete contractor to give you a hand. Depending what type of decorative concrete you have, cleaning and maintenance may be as simple as going over the surface with a broom or dry mop a few times a week to remove accumulated dust and debris. Always clean up liquid or chemical spills immediately after they happen, and clean very dirty concrete floors with a wet mop or a nonabrasive chemical cleaner. Coating your decorative concrete flooring with a commercial-grade floor wax is a great way to preserve your sealer and to protect the floor against stains and abrasion. You can also make use of floor mats to protect high-traffic areas against scuffs and scrapes. In addition to cleaning your decorative concrete floors on a regular basis, you may occasionally have to refresh your sealer. A good clear sealer will greatly prolong the life of your concrete surfaces, and it will enhance the appearance, as well. Clear sealers come in a variety of finishes ranging from matte to high-gloss, so feel free to choose the one that you like best. If you do coat your decorative concrete with a clear sealer, be sure to choose cleaning products that won’t degrade the sealer or cause it to yellow. In order to make your task of cleaning and maintaining decorative concrete easy, you should be mindful about choosing the best product for the type of surface you have. For garage floors, thin mil epoxy flooring, like the SunEpoxy system, and polyaspartic flooring, like the SunOne system, are among the best options. For residential flooring, stained concrete, like the SunAcid system, is a great option. For outdoor surfaces, stamped concrete, like the SunStone or Tuscan systems, is a favorite. You should also be sure to finish your decorative concrete with an acrylic finish coat or clear sealer to provide maximum durability and ease of maintenance. If you find yourself in need of an upgrade for any of your indoor or outdoor surfaces, make Sundek your first call. We offer the widest variety of quality decorative concrete products, and we have access to the premier network of licensed concrete contractors. View our product catalog online or call today to learn more about our services.